Two rescue excavations have been conducted at the site of Buckland - located on the outskirts of modern Dover, England. The first excavation was conducted in the 1950s and documented 170 graves. 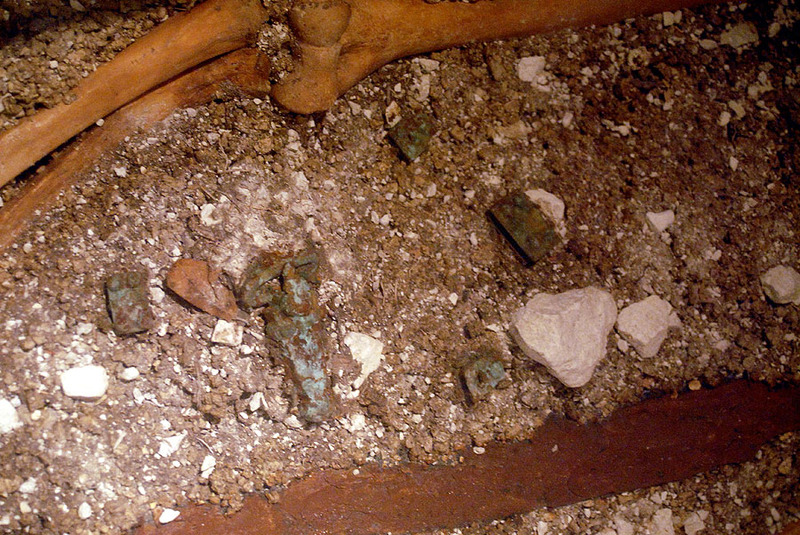 The second excavation in the 1990s documented over 200 graves. 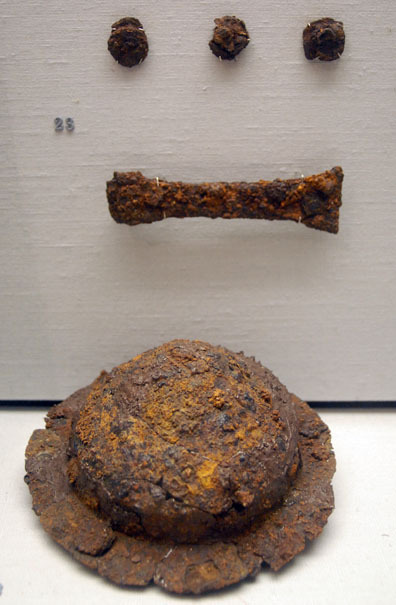 Some of the artifacts from the research in the 1950s is displayed in the Archaeology museum in Dover, England. 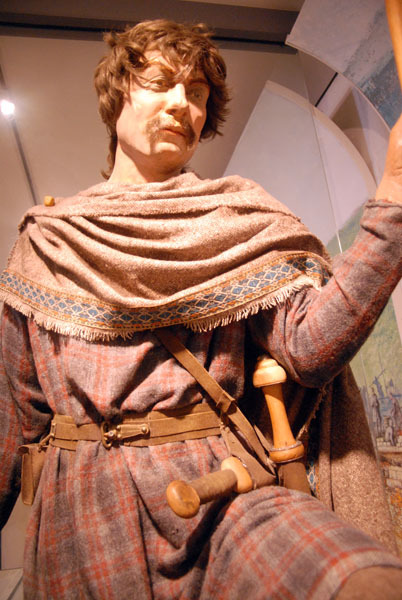 Anglo-Saxon male clothing and artifacts based upon the discoveries in the Buckland cemetery. 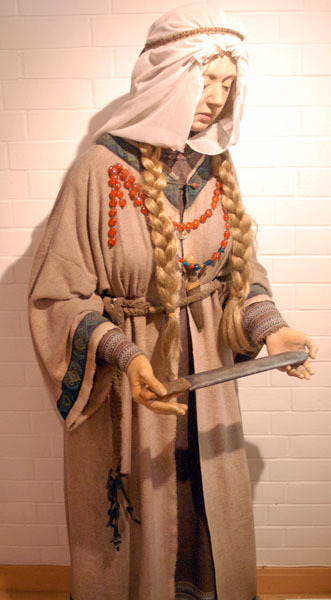 Anglo-Saxon female clothing and artifacts based upon discoveries in the Buckland cemetery. 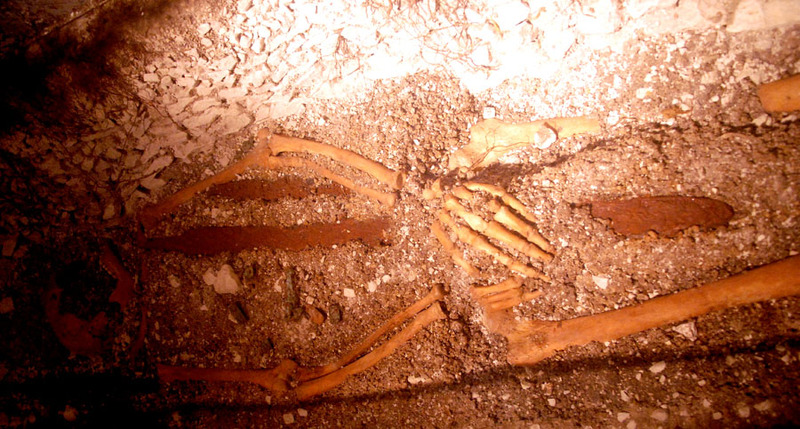 Anglo-Saxon male skeleton, spear and sword. 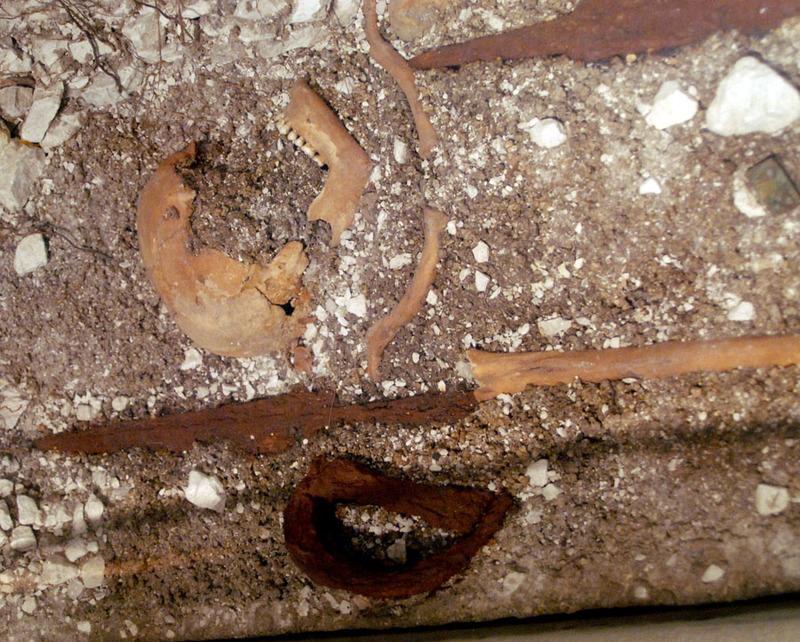 Uncleaned belt buckle across the chest of a male burial. 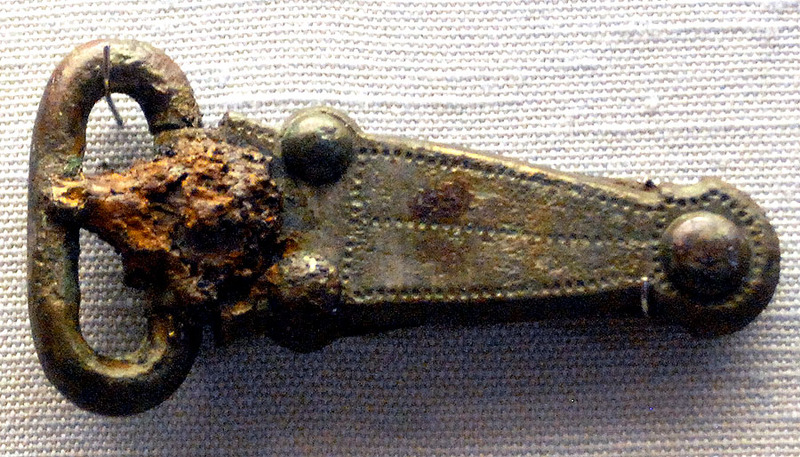 Great sword with hands resting upon the blade of a male burial. 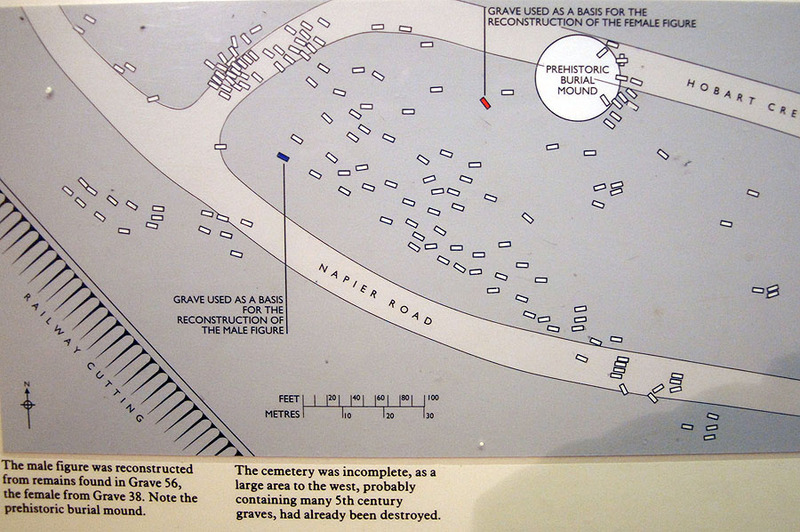 Plan of the graves at Buckland showing the location of the male and female burials used for the reconstructions. Reconstruction of grub houses and a Great Hall belonging to a typical Anglo-Saxon village. 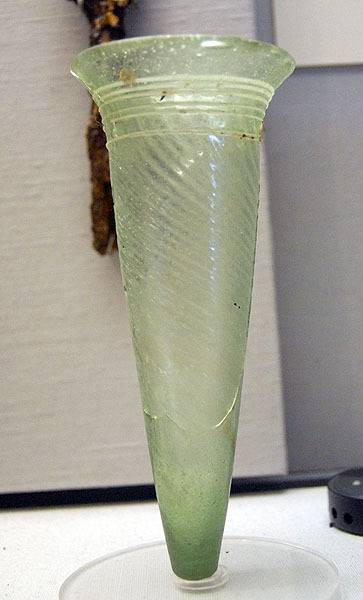 Glass beaker from Buckland cemetery. Shield boss and handle from Buckland. Amber beads from a female burial at Buckland. Silver disc brooch with gilding. 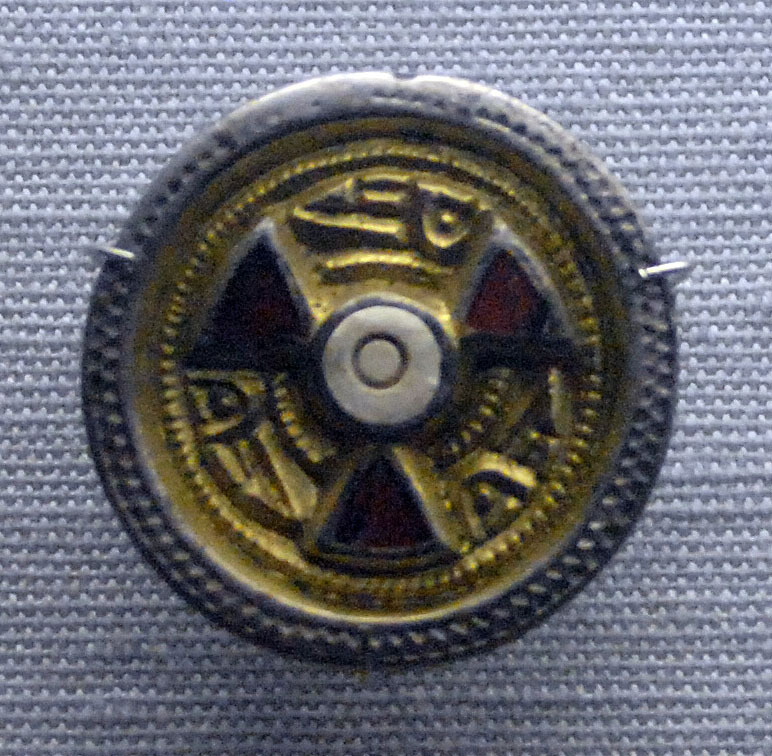 Central setting of shell and three red garnet triangle insets. 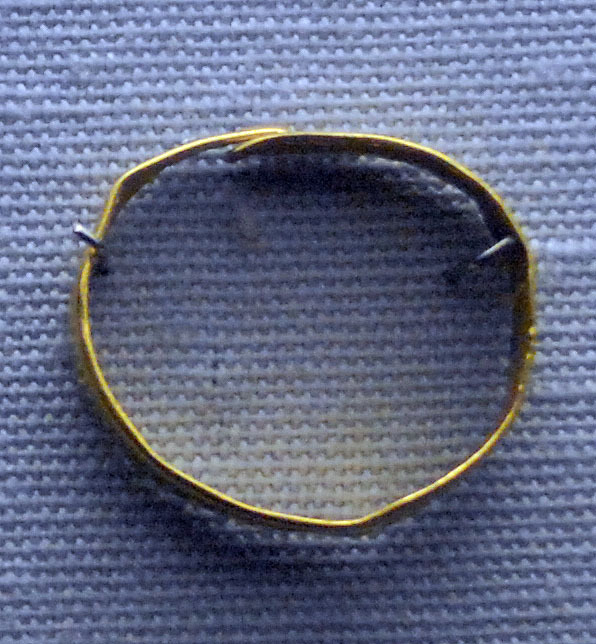 A gold finger ring from the Buckland cemetery. Only two were found during the first set of rescue excavations. The gold content is 98.4% and 1.5% silver suggesting that it was made from a melted down Byzantine or Germanic coin. 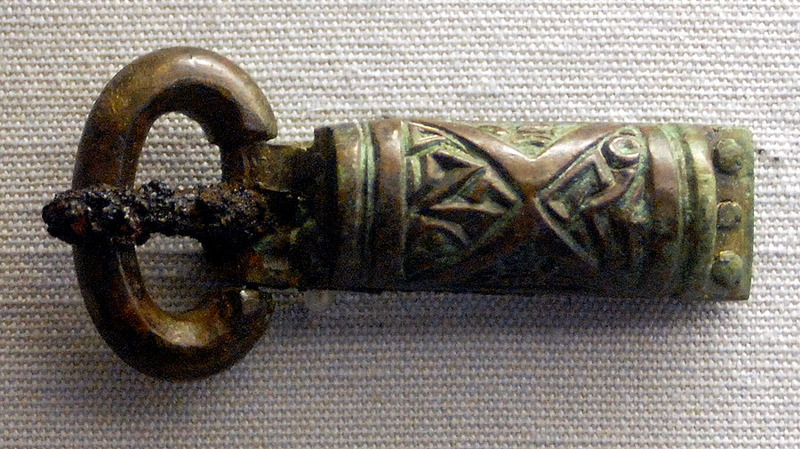 Bronze buckle with an iron tongue. 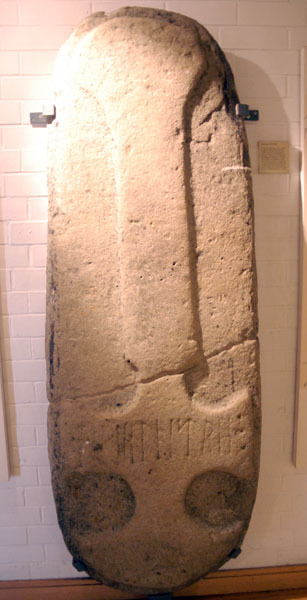 Stone monument with runes that was found under the foundations of the old church of St. Peter in downtown Dover. Published measurements are that is 6 feet 2 inches in length of 7 inches thick; it is interpreted as a stone that covered a grave. Closeup on the runic inscription. It is the name "Jislheard" also translated "Gisilheard" (Kim Norton - Dover Museum, personal communication 31 January 2012). 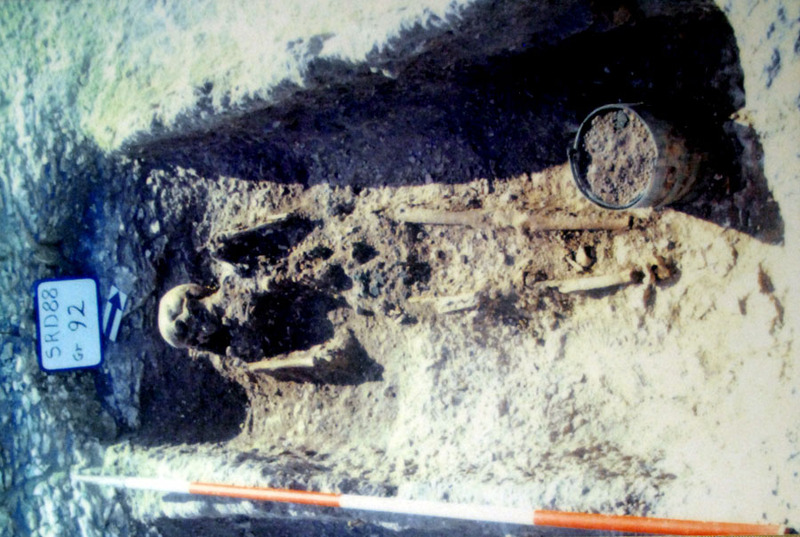 Photograph of an elite female Anglo-Saxon burial with a decorated bucket at her feet, from the burial site of Deel. 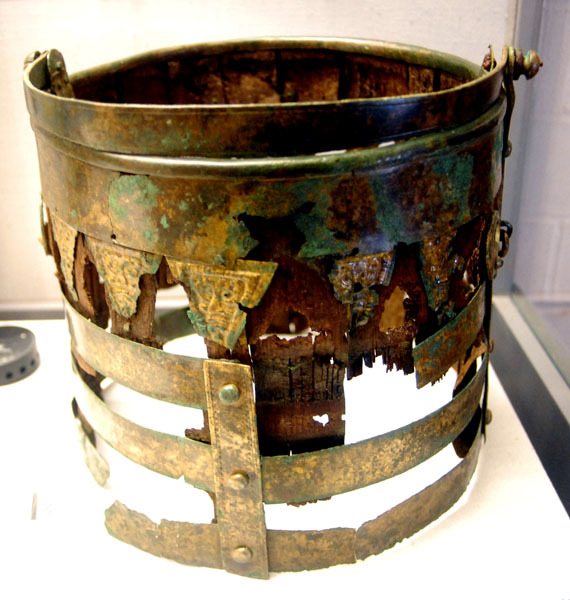 Elite status "bucket" associated with the female burial at Deel.